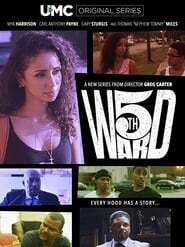 5th Ward; is a fresh episodic series that captures the gamut of problems that plague inner city communities in an enlightening entertaining, and fast paced way. Fifth Ward is a historic black neighborhood located in Houston, Texas. Similar to Brooklyn in New York City or Compton in Los Angeles, Fifth Ward is a neighborhood in the midst of a dramatic cultural change. Created by Houston filmmaker Greg Carter, episodes tackle today’s relevant social, economic and political issues through the eyes of three generations of the Kennedys, an extended black family living in the neighborhood since the 1950′s.